This cute couple makes me smile. We had such an amazing time during their formal session. From the dress reveal to the very last kiss was fun and relaxed. The photos are romantic and dreamy. His personality mixed with the way he adores her just shines through. Her cute smile and, oh my, that dress. I loved how she gave him his ring. Instead of just having him put it on for the photos, after he had that first, dreamy look at her in her beautiful dress, she knelt down, held up his ring and said, "Will You Marry Me?" How adorable is that? 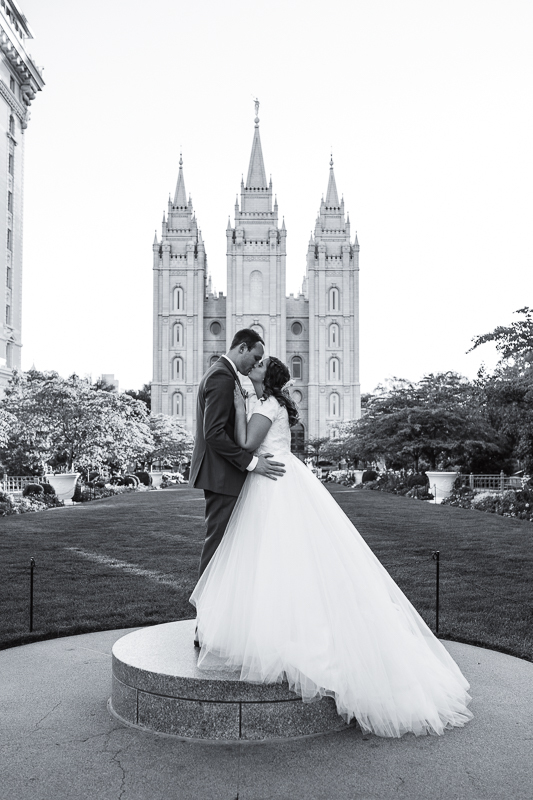 We had the most beautiful evening on the most beautiful Temple Square. Love how these turned out!! !